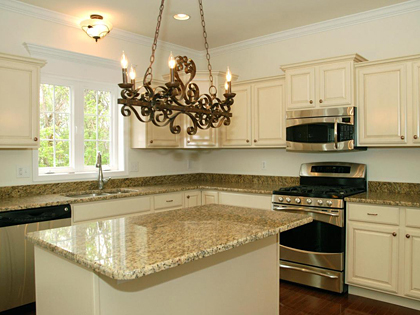 New kitchen and bathroom remodeling is a great way to increase the value of your home. We will work with you to design your new space. 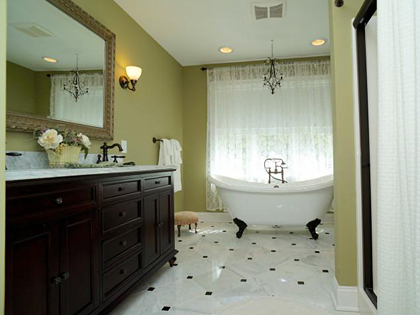 We are a building contractor that understands the importance of sticking to a schedule and budget. So many new and exciting materials are available! Begin making your dream home a reality. Call today for a free consultation. This clawfoot tub really makes a statement and feels so good at the end of a long day. 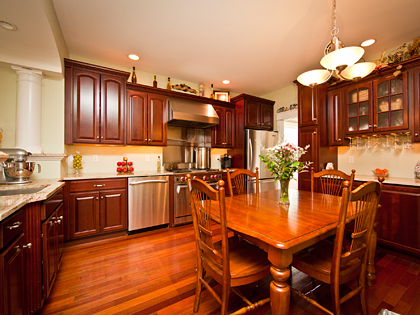 Maple cabinets in a cherry finish are a great way to achieve the look you want and save money. 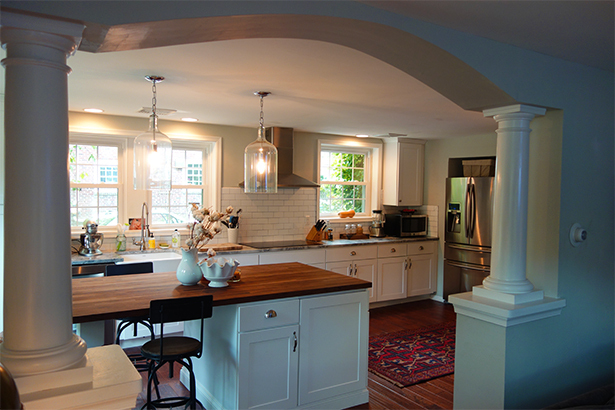 This kitchen features Kraftmaid cabinetry with a glaze finish.